Black Friday and Cyber Monday 2018 is here with the best deals on web hosting you will find all year long. 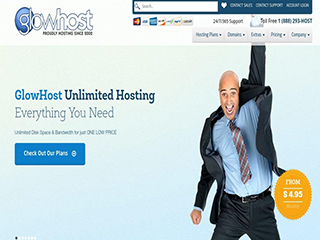 Take a minute to read the following offers and click the + to see full details each Approved Host web host is offering. I’m sure you will find something enticing that meets your needs. Elastic Sites, Shared Hosting & Dedicated Server Specials! 50% Off Elastic Sites Packages. Buy one month (or more) get 3 months free on Elastic Sites Packages. Buy one month (or more) get 2 months free on Shared Packages. Shared, VPS & Reseller Hosting Specials! 20% LIFETIME Discount on Shared & VPS! Shared Hosting & Virtual Private Servers. Secure any hosting service on Black Friday or Cyber Monday and receive 20% OFF for life. Fast, secure and reliable managed Europe hosting. Our systems make your websites always available and loading blazing fast. Award winning 24/7 support – 100% SATISFACTION guaranteed! LIFETIME 30% Discount on Shared, Reseller, Email, VPS & Dedicated Servers! 50% OFF LIFETIME Discount on ALL Shared Hosting Plans! TOKYO DEDICATED SERVER – $1 FIRST MONTH! Each dedicated server includes an industry leading service level agreement (SLA), DDOS protection, 200 Gbps network and 24/7 Support. Great deals on VPS, C Hosting, Dedicated Servers, SEO & Reseller Hosting! 40% OFF Shared Web Hosting! $100 Signup BONUS on Cloud Hosting! Secure any Cloud Hosting service and receive $100 off your first month! What should you consider while purchasing a cloud hosting package? What is the Best Payment Gateway for your Online Business?